Every Easter new people visit our churches looking to know more about this unique Christian holiday. 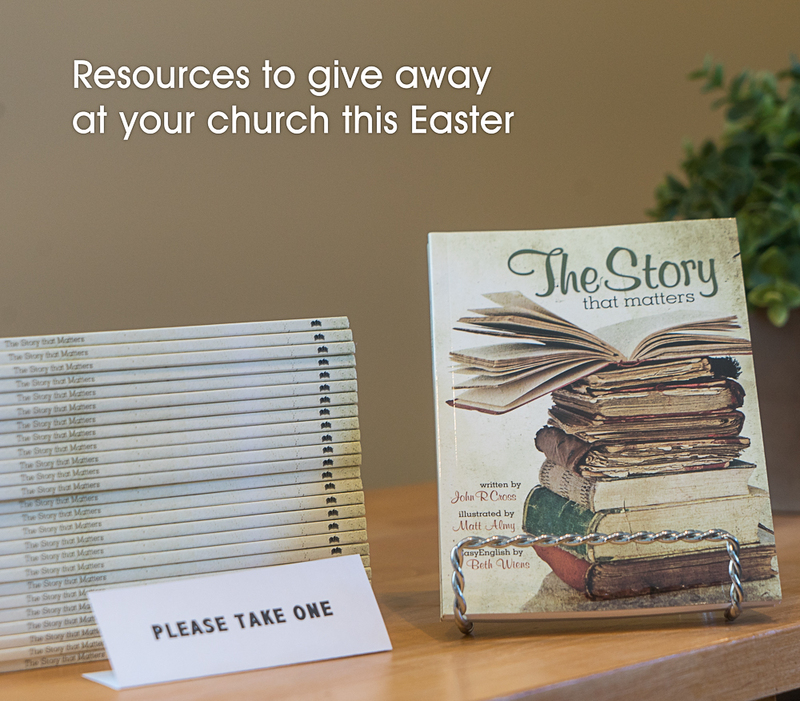 The Story that Matters is an ideal book to give away to those who want to know more about the Good News of Easter. Inexpensive and easy to read, consider giving them away to those who cross your path this Easter season. With case discounts, this book is priced so it can be given away in large numbers. Churches can present these booklets to visitors or they can be given out at concerts or church programs. Individuals can also give the booklet like a gospel tract to family, friends and neighbours. Order soon to ensure delivery for Easter. • Chronological: Begins with the creation of the universe, and then progressing sequentially through key Old Testament stories, it moves into the New Testament to reveal the meaning of the cross and the tomb. The main story of the Bible is tied together into one universal, all-encompassing drama. The content is brief so a reader can complete the book in approximately 45 minutes. • Assumptions: Assumes reader has little or no prior knowledge of the Bible. 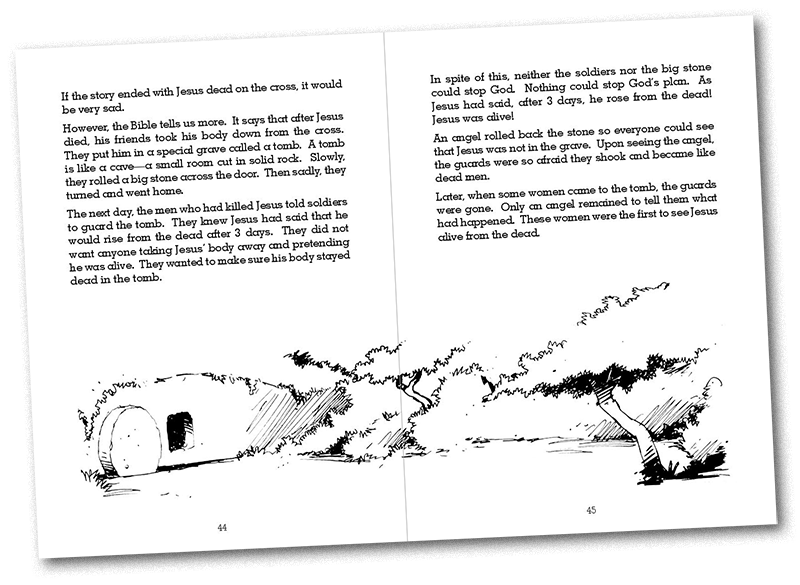 • Fully illustrated: Expressively drawn line art brings the gospel story to life. • Written for those with limited language skills: Using EasyEnglish, it is suitable for children, teens, ESL readers and those who are not generally readers.